Do you have any issue with the ignition lock of your car? When you try to start your car, do you have any difficulties to turn the ignition ON or Off? We provide 24/7 ignition lock repair service in Nazareth, Coopersburg, Fogelsville, and the entire Lehigh Valley area. 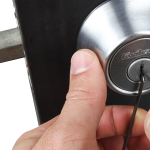 When you need 24/7 emergency locksmith service in the Lehigh Valley, we can help you, without delay. Today, I was invited to make a car key to one of my customers. He is a used car dealer who buy his cars from a Car Auction. I made his car key on the spot. While he’s waiting on site, in his car, I came back and forth to his vehicle. 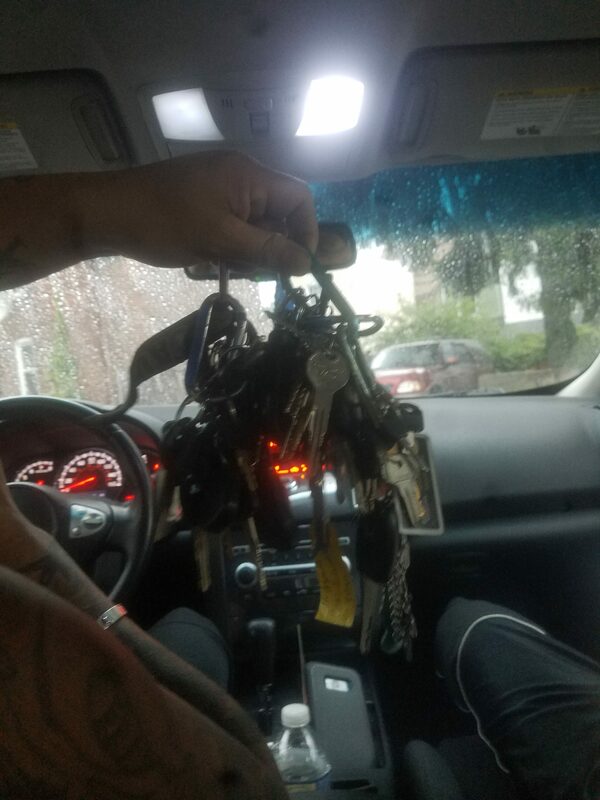 In the meantime, after cutting the key, and while waiting for the programming process comes to end, I noticed he have tents of keys on his key ring, and all are hanging on the ignition lock. I asked this guy; can you imagine how much weight and pressure you have on your car ignition switch? He laughed… no worries, bro’. He was proud having so many cars, and all the keys in one key ring. What he didn’t know is all the wight of a key ring is what makes your life easier. In the final analysis, weight is matter. In many cases, when you can’t turn your ignition lock to on or off position it because your car is old. Cars older than 10 years intend to cause problems out of ware and tare. However, many times I come to repair automotive ignition lock of new cars because my customer use to have heavy key ring. Generally speaking, the weight of your key ring is really impact your ignition switch in the long run. Think about a drive when the car driving on a rough road. Every “jump” of your car impact the wafers inside your ignition lock. The weight of a key ring is really matter to effect the life of your auto ignition lock. We recommend to separate your keys with a key ring carabiner. This is my way to keep it safety. I have ring carabiner to get control in regard of key and lock. If you check my key ring for driving, you may find car key, as well as a key for the locking cabinets attached behind, in the cargo space. This is all about taking care of the weight of your key ring. If you take care of the weight of a key ring, you take care of your car, and your ignition lock can last for long time. When you have such of heavy key ring, you should expect to problems with your car ignition lock. In any case of automotive locksmith needs, don’t hesitate to call LockTech24/7. Our proffesional auto locksmiths can handle a simple auto lockout to ignition lock service. Don’t let ca ignition problem to ruin your day, keep your locks close and your keys closer. Whether you need car lockout service, or car key replacement service. And whether you need and ignition lock repair or broken key extraction, we are here to help. Call your local locksmith in Easton, Allentown, or Bethlehem. 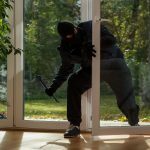 Call your local Lehigh Valley Locksmith.